James Madison, the fourth president of the United States, was one of the principal founders of America's republican form of government. As a Founding Father he helped plan and approve the U.S. Constitution and the Bill of Rights, two documents that laid the foundation for the American way of life. James Madison lived all his life (except for his presidential years) in the beautiful county of Orange, Virginia, on a 5,000-acre plantation that produced tobacco and grains and was worked by perhaps one hundred slaves. After being schooled at home, Madison went to preparatory school and then to the College of New Jersey at Princeton. The young man took to his studies, which included learning Latin and Greek. Madison was continually exposed to the Christian religion and was influenced by the new thought of the eighteenth century. He admired writers and thinkers like John Locke (1632–1704), Isaac Newton (1642–1727), Jonathan Swift (1667–1745), and others. Madison was a founding member of the American Whig Society, a debating club in Princeton. During his college career, waves of revolution rolled through the campus as protests increased against British policies. Upon graduation, Madison's health was weakening and he was forced to live at home, where he continued his education. Once recovered, Madison served on the Orange County Committee of Safety for two years. By then, the American Revolution (1775–83) had erupted as American forces fought for independence from Great Britain. In 1776 Madison was elected to the Virginia convention. The convention decided to move for independence from Britain and drafted a new state constitution, or a body of laws that formally lay out the structure of a new government. Madison's special contribution was in strengthening the articles on religious freedom to proclaim "liberty of conscience for all." Elected to the governor's council in 1777, he moved to Williamsburg, Virginia. For two years he dealt with the routine problems of the Revolutionary War. He also began a lifelong friendship with Virginia governor Thomas Jefferson (1743–1826). Madison's skill led to his 1780 election to the Continental Congress, which brought famous delegates to Philadelphia, Pennsylvania, to discuss the problems with British rule. During the first year he became one of the leaders of the so-called nationalist group. The group believed that success of the American Revolution was possible only under a strong central government. By the end of his service in 1783, the peace treaty with Britain was passed and the war ended. Madison was among the half dozen leading promoters of stronger national government and earned a reputation as a well-informed and effective leader. Madison spent three years in Virginia helping pass Jefferson's bill for religious freedom and other reform measures. end, Madison became the most constructive member of the convention. Madison's basic contribution was the idea that an enlarged, strengthened national government was in fact the best way to protect freedom and expand self-government. In addition to taking part in the debates, Madison took notes on them. Published after his death, these give the only full record of the convention. Madison shared leadership in the ratification, or passing, of the Constitution with New York representative Alexander Hamilton (1755–1804). Madison designed a strategy for the supporters of the Constitution (the Federalists) and wrote portions of the Federalist Papers, which were essays on political theory for the new country. In a dramatic debate with Senator Patrick Henry (1736–1799), Madison helped bring about the ratification of the Constitution in June 1788. Then, as Washington's closest adviser and as a member of the first federal House of Representatives, Madison led in establishing the new government. He drafted Washington's inaugural address, or first speech as president, and helped the president during his first term. January 1790 marked the beginning of Madison's—along with Jefferson's—leadership of what became the Democratic-Republican party. Madison opposed the privileged position Hamilton gave to commerce and wealth. This attitude became the foundation of their political party. 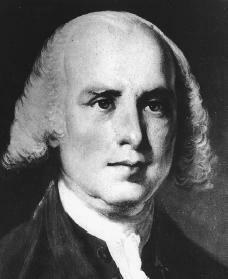 Madison also greatly opposed Jay's Treaty, which settled differences between America and Great Britain regarding trade. Madison felt that the treaty would align the United States with England in a way that would betray the nation's principles, or standards. Thus, the final ratification of Jay's Treaty (April 1796) over Madison's bitter opposition marked his declining influence in Congress. A year later he retired to Virginia. The political frustrations of the years 1793 to 1800 were relieved by Madison's happy marriage in 1794 to Dolley (or Dolly) Payne Todd. Dolley, a widow, was a beautiful and respected woman. Later, when Madison was elected president, she would play an important part in shaping the role of first lady. Madison worked hard to secure Jefferson's election as president in 1800, and in response he was appointed secretary of state. Madison skillfully aided the president in the Louisiana Purchase, which acquired land west of the Mississippi River from France. The purchase would nearly double the country's size and begin a push westward to expand the young nation. The renewed war between France and Britain, however, became a major crisis, as both powers inflicted heavy damage on American ships. Madison promoted the 1807 embargo, or stoppage, which barred American ships from the high seas. However, the nation's economy was fragile and heavily dependent on trade with Europe. The embargo did not last. Madison soon accepted its repeal at the end of Jefferson's administration. Elected president in 1808, Madison continued his struggle to find peace in a world at war. Unfortunately, ineffective policies, disagreement within his party, and Cabinet restructuring would weaken Madison's power as president. After relations with England fell apart, war was declared in June 1812. Many New England preachers and politicians opposed the war, and their lack of support severely slowed the war effort and added to the president's difficulties. He nonetheless was reelected easily in 1812. Madison was hopeful for a swift victory in the new war. However, several military setbacks destroyed these hopes. When America won battles at sea in 1813, the tables seemed to be turning. But problems mounted for the president. Chaos in American finance, problems with European allies, and another ineffective military campaign left Madison discouraged, and he suffered a nearly fatal illness in June 1813. The young government seemed to be failing apart due to the war. The summer of 1814 brought to the American battlefields thousands of battle-hardened British troops. A small but well-disciplined British force defeated the disorganized Americans as Madison watched from a nearby hillside. His embarrassment was complete when he saw flames of the burning Capitol and White House while fleeing across the Potomac River. However, after he returned to Washington three days later, he was soon cheered by news of the British defeat in Baltimore Harbor. News also arrived that two American forces had driven back a powerful British force coming down Lake Champlain in Vermont. On Christmas Eve, 1814, a peace treaty was signed between Britain and America. In March 1817 Madison retired from public office and returned to his home in Montpelier, Virginia. During the next years, Madison practiced scientific agriculture, helped Jefferson found the University of Virginia, and advised President James Monroe (1758–1831) on foreign policy. He returned officially to public life only to take part in the Virginia constitutional convention of 1829. But his health slowly declined, forcing him more and more to be a silent observer. By the time of his death on June 28, 1836, he was the last of the great founders of the American republic. After his death, Dolley Madison published her husband's personal papers. The Madison papers offer wonderful insights into the politics of the new nation during a time of great historical significance. Madison, James. James Madison: Writings. New York: Library of America, 1999. Malone, Mary. James Madison. Springfield, NJ: Enslow, 1997. Polikoff, Barbara G. James Madison: 4th President of the United States. Ada, OK: Garrett Educational Corp., 1989.
wow much grammers. But really it is interesting that he was opposed to slavery after growing up with it.